South Africa’s automobile manufacturers began this year with renewed hope for the domestic vehicle sales market, following a 1.8% improvement in purchases – the first year-on-year growth to be recorded in a period of four years. The National Association of Automobile Manufacturers of South Africa (Naamsa), reported total sales of 557 586 units during 2017, compared with 547 547 in the preceding year, with even further improvements expected in 2018. The industry body projects a further 2% improvement for the new car market in 2018, and growth of double this percentage for the light commercial vehicle market, when taking into account the time effect of various new model introductions. These are indeed encouraging news. But even as we celebrate a local upswing, I believe that it is as important to take note of the 4.6% drop in vehicle exports - from 344 820 units in 2016 to 329 053 in 2017 – as was recorded in the past year of assessment. It is something we cannot ignore if we hope to keep achieving higher economies of scale in the lucrative arena that is international trade – especially given that the automotive sector singlehandedly contributes an impressive 7.5% of South Africa's overall gross domestic product. According to Naamsa, if we factor in the expected improvement in exports, domestic production of motor vehicles in South Africa is expected to show an increase from 588 000 vehicles produced in 2017 to close on 635 000 vehicles in 2018. I believe that these forecasts are highly possible. In fact, they can be surpassed with ease if only we take a closer look at the importance of digitizing operations further as well as the improvement of localized components production. Let’s think about this for a second. Localised components within SA's car manufacturing sector are currently gauged at 38%. And while the automotive sector is responsible for 7.5% of the country’s economic output, its component segment is the most labour-intensive and accounts for a staggering 72% of the auto industry's entire GDP contribution - thus making car-part production a critical factor of the value chain. Just imagine what would happen to the auto industry’s profitability levels if we focused a lot more energy towards upping the production of local vehicle parts to far more than 38%? The Department of Trade and Industry’s vision for the auto industry is to hit the 60% mark in terms of local parts productivity by 2035. With the current wave of automation and data exchange that is overhauling manufacturing technologies worldwide through the employment of cyber-physical systems, the Internet of things, cloud computing and cognitive computing, South Africa stands to gain a lot by simply aligning with the global trend in order to not only reach targets, but get far ahead of the curve. 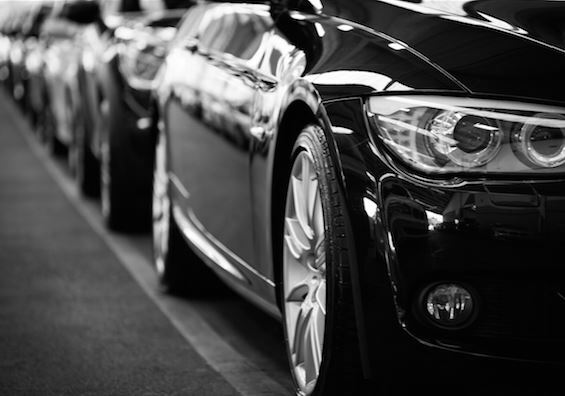 Continually optimising production processes will always equal higher output, and in the case of the South African automotive industry, it could also mean gaining even greater traction within an already successful international vehicle trading market. So, how can we go about ensuring that we a) remain ready to meet an increasing demand for locally manufactured vehicles, and b) are taking the best advantage of the relatively favourable conditions that we currently enjoy on the global sphere without losing momentum? By modernising processes with the latest, most innovative technologies that are primed to meet environmental demands while maximising output and attending to local manufacturer’s specific supply chain needs. To effectively harness the economic power of auto manufacturing in South Africa, factors such as reducing transportation costs, streamlining processing plant operations, and optimising production scheduling will need to be improved to ensure that costs per unit are friendlier for domestic sales, and that there is capacity to secure larger export contracts from our international investors. Already, great strides have been made in the areas of artificial intelligence and machine learning – but one must be very careful when selecting the right decision making tools for their organisation – especially as operations can encompass a vast number of interwoven machines, processes, and resources. It can be very difficult to choose the best configuration and schedule of each for the good of the whole system. And when paired with ever-growing competitive pressure, complex supply chains, and evolving customer and compliance demands, manufacturers are under extreme pressure to make the ‘best’ decisions within an ever evolving list of requirements. Within manufacturing, optimisation is best described as the scientific application of various decision variables (manufacturing conditions) and objectives (optimisation criteria) to processes used throughout production, in order to effect a desirable output. Ideally, no one process can be identical between two manufacturers, as results are better tailored to an exact environment. Factors such as cutting conditions (i.e. depth, feed, speed); unit production time and cost, as well as overall production rate, are taken into account when determining the best formulas for optimal machine use. A holistic approach to optimising one’s processes will include not only the data gained from deliberate machine learning, but also predictive analytics (possible future outcomes based on historical records) as well as specialised process-industry expertise. This approach is referred to prescriptive analytics and is the driving force behind many technology advancements for business. Competent optimisation solutions; which are made available to manufacturers through prescriptive analytics expertise; make use of all of the above to ensure that every machine in use is performing at its peak and offering the best support to its workforce towards reaching organizational goals despite environmental factors that may impact production at any given point. Executed well, this level of augmentation to any automotive process could have astronomically positive effects – more especially around assuring quality, safety and efficacy while reducing time and cost where the equipment and workforce are concerned. My advice to auto manufacturers, is that they do extensive research before they spend tons of money on any old optimisation package. Keep in mind that maintenance cost will also be key to your profit margins: try to go for a product that will offer you the ability to fully customise your environment at any time, while offering state-of-the-art solutions for faster, smarter ways to develop and deploy manufacturing applications, without creating more burden on your IT or leaving you with the frustration of scarce analytic resources. Your best bet is to find optimisation tools that will enable strong collaboration and engagement across your entire production plant. At FICO, we have been developing optimisation tools for the auto industry for decades, so we know what works for the industry and are able to customise for the needs of individual clients. We believe that overall the South African automotive sector - bar for a few key adjustments, is suitably geared towards making an even stronger impact on the global market this 2018 – and strongly advise that companies involve their IT and Production managers or Chief Technology Officers more throughout the entire course of seeking suitable solutions towards this goal. Derick Cluley, is the Head of Operations for Fair Isaac Corporation (FICO) South Africa. He has worked at FICO, a world leader in big data and prescriptive analytics for 15 years. Among the corporation’s technology advancements for business are decision-making and optimisation platforms; credit scoring for consumer and business-to-business use; cybersecurity, fraud, and financial crime prevention; as well as risk management tools.